Completed in 1998, Capital Square is a premium Grade A, award-winning commercial development with 388,215 square feet of net lettable area. It is a unique office development comprising of 16-storey well built office towers and two blocks of restored heritage shop houses with boutique offices and food and beverage retail amenities. The development embodies harmonious synergies between conventional office space and conservation shophouses. The ground floor houses a diverse selection of high quality F&B, making it a dining destination in the Central Business District of Singapore. Capital Square is located within walking distance to Raffles Place and Telok Ayer MRT stations and strategically located within a five-minute walk to the Marina Bay district and to the historic areas of Chinatown and Boat Quay. 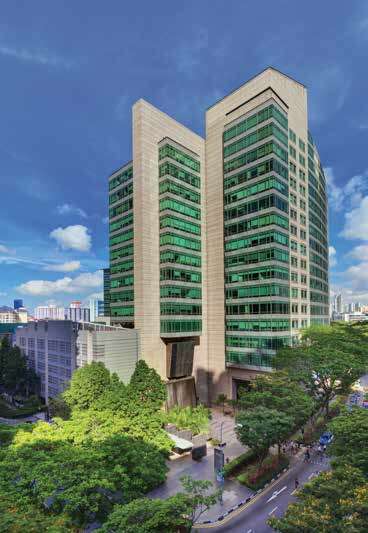 At the heart of the business district of Singapore, Capital Square is the home of choice to professional services firms and major domestic and global financial institutions.